If you Word file is corrupt and you are looking for Microsoft Word 2010 recovery solution, then you have come to the right place. With our Word Repair software, you can fix the inconsistencies that cause Word file inaccessible. The software deals with the reason of word file corruption by thoroughly scanning the selected document and work around the problem by utilizing its backend algorithms that specializes in Word file. To repair corrupt Word file with our eminently developed solution, no special system requisites are demanded as the software works mere with Windows OS platform and fixes word file created with Word 2007 and 2010 edition. No matter what makes you unable to read Word file, the software is competent enough to handle all corruption issues effectively. Say you make an attempt to open document files but Word 2007 does not open the file. There could be two reasons behind this, one the Word edition installed in the system is not compatible with the file format of document and second, there is probability that the selected file is corrupt. In both the situations, our Microsoft Word 2010 recovery tool can be utilized to get rid of troublesome situations as the software is built-up to repair damaged Word files successfully. You can check out the working procedure of the software and its ability to recover corrupt word file data. 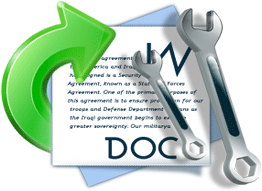 The trial edition of the tool not only illustrates the process as how to open damage word file but also provides a set up to preview the recovery resultant so that users get assurance regarding the potential of the software. If satisfied with performance of the solution, investment in Microsoft Word 2010 recovery tool can be made for saving the recovery results.